We specialize in planting trees and privacy hedges. 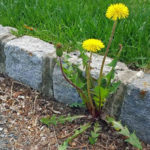 Are you looking to add some more natural beauty to your landscape? Do you want your landscape to look more mature and established? Maybe offer more privacy? Look no further than the addition of trees or privacy hedges on your property. There are many types of trees and hedges that grow exceptionally well in our climate and as they grow, they add value to your landscape! 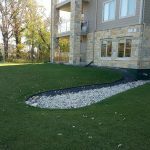 Terrace Property Maintenance Ltd. Is a full service landscaping and tree service contractor based out of Winnipeg, MB. We specialize in tree services such as planting new trees of varying sizes and we can also plan and plant privacy hedges of all sizes. 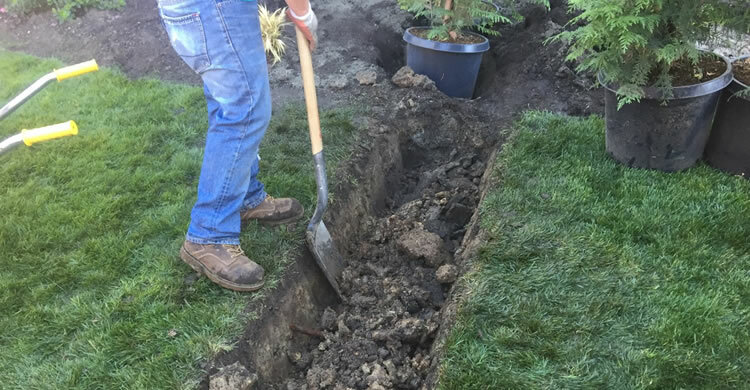 Whether you just want a single tree planted or a hedgerow 100′ feet long the team at Terrace Property Maintenance Ltd. will be able to help you select the right planting sites and the right species of tree or hedge for your desired goals. The final cost of your trees or privacy hedge will be determined by the species you’ve chosen, how many of them and what size they are (we can plant trees from small to over 10′ tall!). We’ll also need to consider the site they’ll be planted at and how much labor will be required to get them installed properly. We’ll only be able to provide you with an accurate estimate for planting and maintaining your trees or hedge after a site inspection. 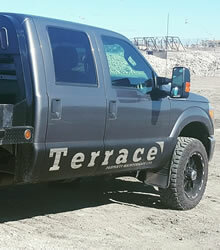 Why Choose Terrace Property Maintenance Ltd. For Landscaping Material Delivery in Winnipeg, MB? 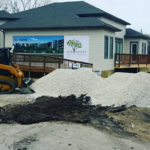 When you choose Terrace Property Maintenance Ltd. to provide tree or hedge planting services in Winnipeg you are partnering with a team of professionals who will care for and maintain your property as if it were our own. You can count on great communication, reliable service, and fair prices. Our team takes great pride in the work they do and we listen to the needs of each and every customer as no two properties are alike. You can count on getting the best advice when it comes to planting and then maintaining trees or hedges in your landscaping. 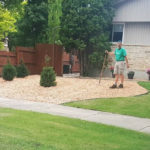 If you’d like to receive an estimate for tree or hedge planting services from Terrace Property Maintenance Ltd. please give us a call (204) 202-6939 or send us an email through our contact form and we’ll get right back to you.